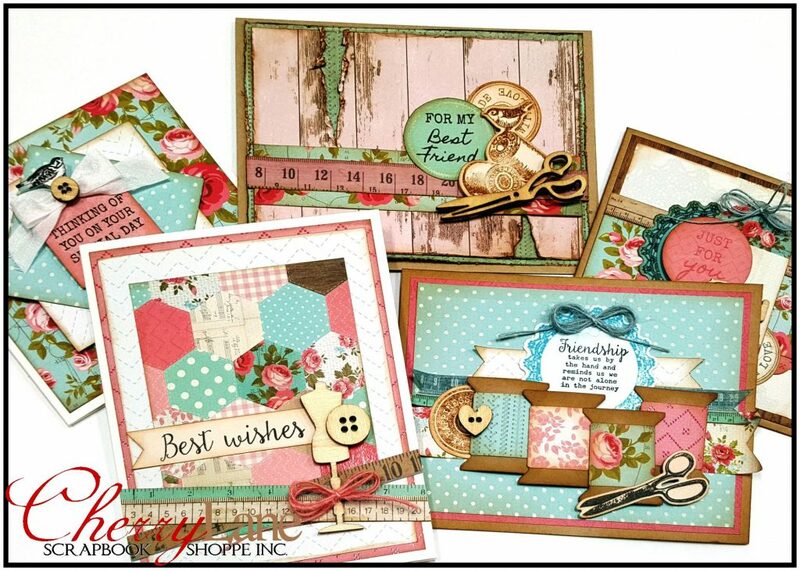 We just can’t get enough of the new Spellbinders Stamp & Die sets! Join Rebecca and create FOUR enchanting cards full of shimmer & shine, some easy inking techniques and just the right amount of silver and gold foil finishes. The happy snails and fancy feathers are sure to brighten anyones day! You NEED to see these in person to see all the layers of shimmery shiny goodness! 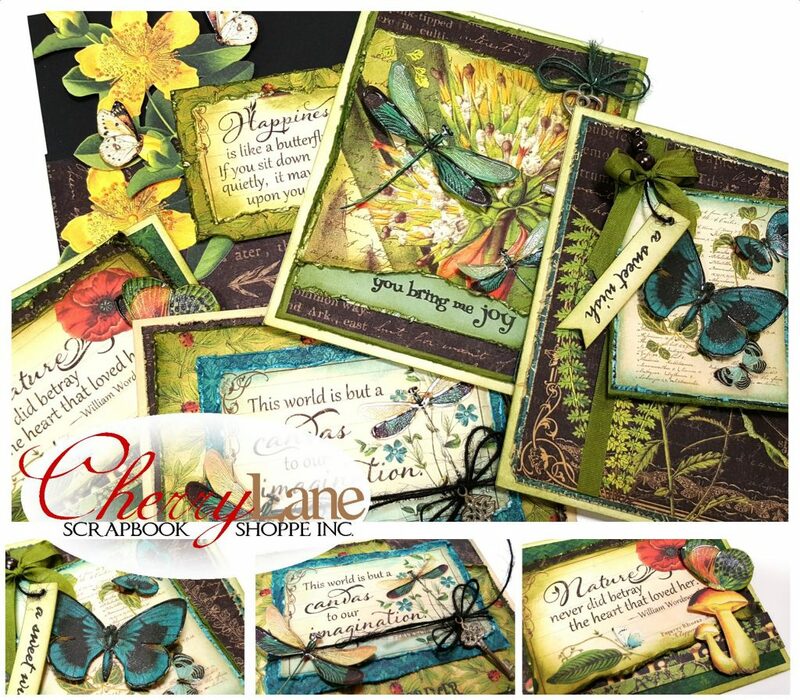 Come play with Donna in this super inky and super FUN new class! 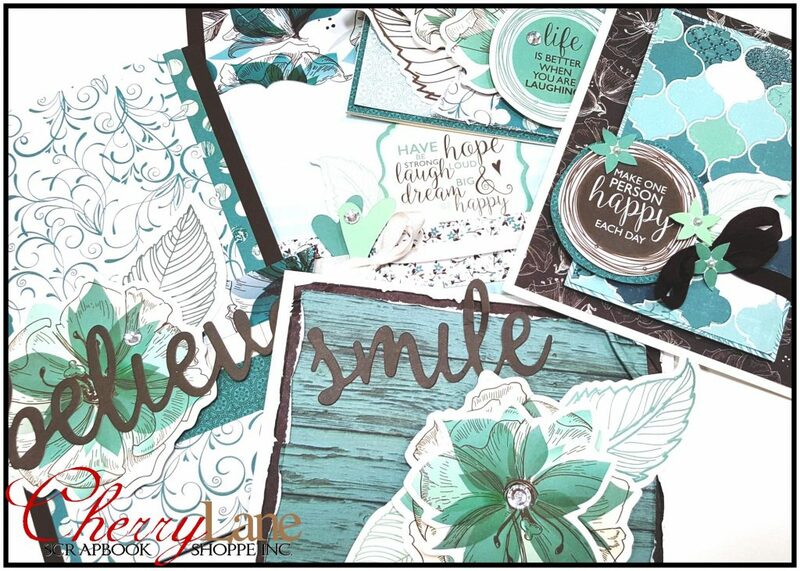 Using some new Spellbinders stamp & die sets, you will learn to make your own backgrounds with Distress Inks, dabble with heat embossing, learn some crazy easy watercolour techniques, play with the new Distress Oxides and go home with four cards, including a fun shaker card. 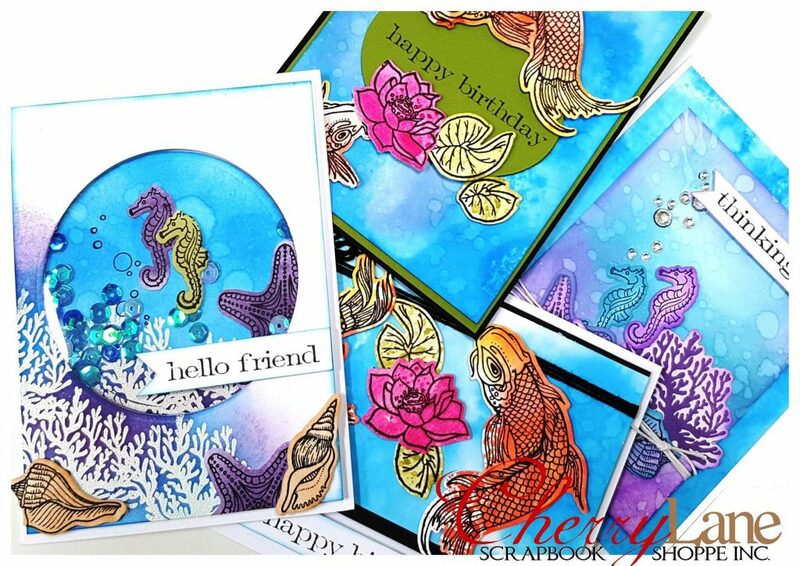 You NEED to see these in person to see all the shimmer, shine and layers of inky goodness! HAPPINESS.—A butterfly, which when pursued, seems always just beyond your grasp; but if you sit down quietly, may alight upon you. 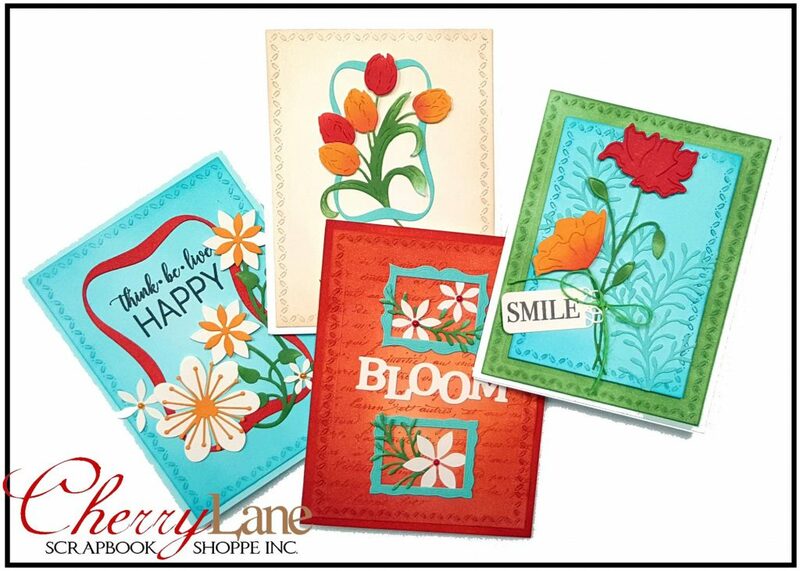 It’s a beautiful world, and these gorgeous cards are sure to be appreciated by all who receive them! Join Rebecca and create five cards featuring Graphic 45’s lush and vibrant Nature’s Sketchbook collection. Butterflies and dragonflies abound with gorgeous floral and just the right amount of shimmer and shine! Choosing your own sentiment from a variety of stamps in class makes these pretty cards a perfect fit for every person & every occasion. 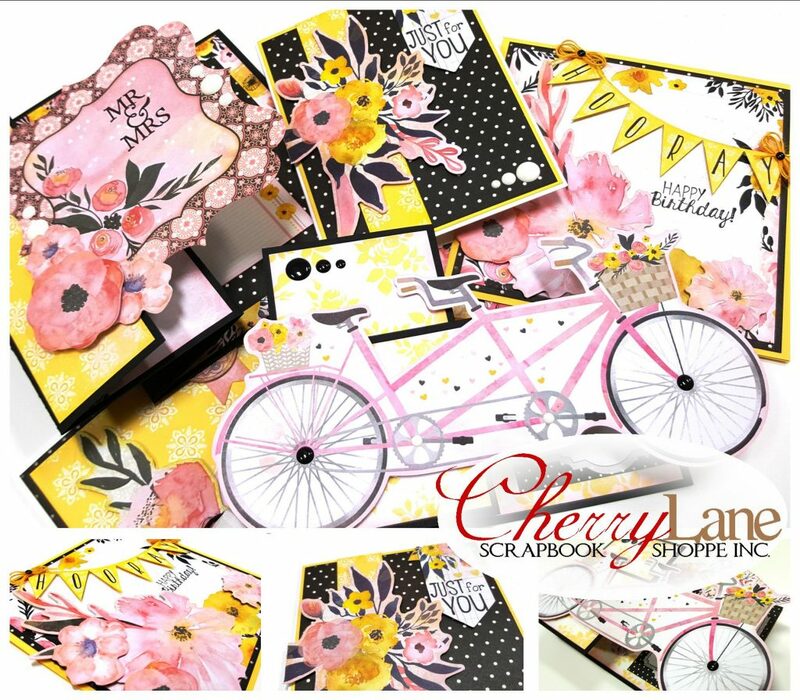 The new Petal Lane collection from Bo Bunny combines beautiful watercolor florals in a soft palette of pinks & yellows, with just a smidge of black for the right amount of contrast. 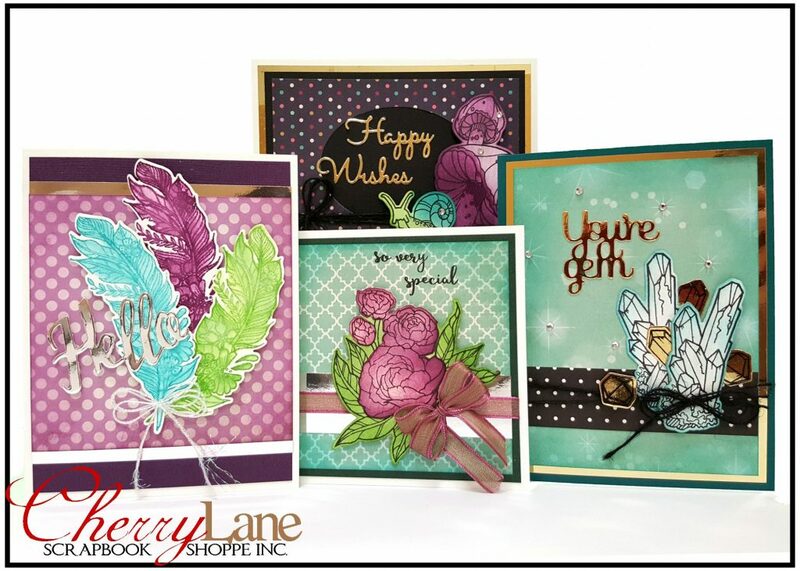 Donna has created FIVE lovely and feminine cards with this line, including two fancy fold cards you are going to want to make again! Choosing your own sentiment from a variety of stamps in class makes these pretty cards a perfect fit for everyone on your list! Your class kit includes full sheets of 12×12 patterned papers, a full pack of Noteworthy diecuts (40 pieces), ribbons and enamel dots with lots of extra bits leftover. Donna has designed a super cute gift card tin you can decorate at home with some of your leftovers… bring your camera! Is there anything more lovely than cherry blossoms in the spring? The Oriental inspired papers in the Hanami Garden collection from KaiserCraft feature delicate feminine touches, intricate patterns and beautifully illustrated cherry blossoms. This striking collection features a bold palette of red, pink, and black with gold foil, gloss details and delicate florals. 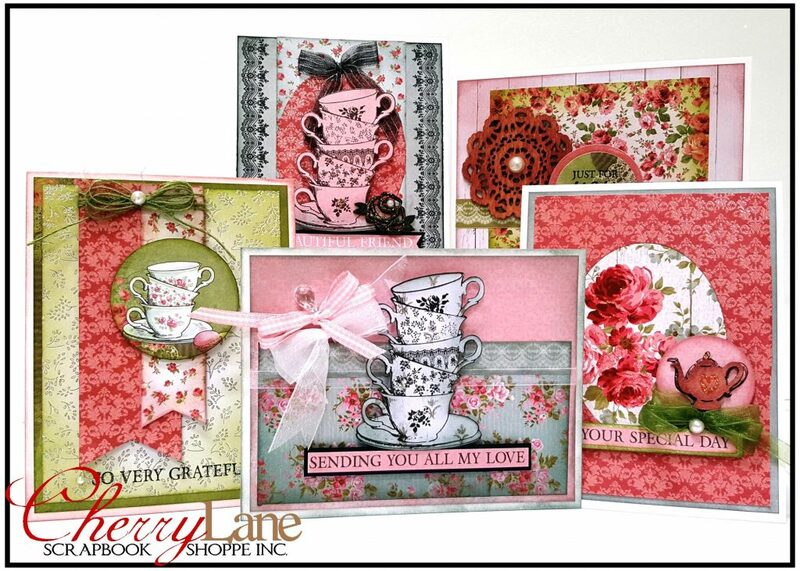 Rebecca has created FIVE gorgeous cards with just the right touch of Oriental flair! Your class kit includes 18 patterned papers, some with gold foiling and gloss detail, over 50 diecut pieces, ribbons & bling with LOTS of extra product and TONS of sentiments to customize your cards to suit. Bring your camera – Rebecca has designed a couple of BONUS cards you can make at home with just some of your extra bits! 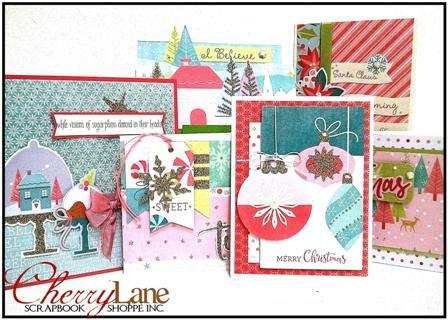 ‘Tis the season for card making, and the new My Mind’s Eye “Sugar Plum” collection is the perfect fit! Join Amy and create six cards in class with dashes of pink & blue, combined with a flurry of snow, glitter accents & cheery holiday imagery that will have you dreaming of Christmas! Your class kit includes 12 double-sided glittery 6×6 papers, more than 50 die cut pieces and coordinating ribbons and bling with LOTS of extras to create even more!